Don’t miss this opportunity – click on the banner to get your discount and support this site. BUY NOW by clicking on the banner above. If you’re not fully satisfied, simply let Perfectly Clear – http://www.athentech.com know anytime with 30 days of your purchase, They will refund your money with no questions asked. Another great Black Friday deal with FLIXEL – you get a whopping 40% off on Cinemagraph Pro or Plus when you use the discount code SHIV – click on the banner above to go to the Flixel site to order. LAUNCH of The Lume Cube, a powerful and ultra-portable LED lighting tool that will open new creative possibilities for photographers of any skill level whether they are looking to cast some light on late night selfies or experiment with new techniques for professional-caliber portraits. Lume Cube has launched a Kickstarter campaign just in time for the holidays. The Lume Cube is a compact and versatile, app-controlled LED light for capturing both stills and videos, and is compatible with smart phone cameras, action cams as well as more traditional digital cameras. Measuring only one-and-a-half inches, the water resistant Lume Cube produces 1,500 lumens of light in both video mode, for a continuous light source, or in strobe mode. Encased in a colorful rubber shell the Lume Cube can magnetically attach or suction to just about any surface making this light-weight LED ready to deliver on just about any creative impulse. OLYMPUS has released a firmware update to the OM-D E-M1 morror-less camera – the latest version is 2.2. Download the Olympus Digital Camera Updater to update your firmware. Click here for this CityWalker special offer. And, when you buy a Think Tank Photo rolling camera bag you are eligible to receive their new “Road Warrior Kit,” a $44.98 value, for free! The kit consists of ten Red Whips cable ties, a Cable Management 10 pouch, an AA Battery Holder (holds up to eight AA batteries), and a Small Travel Pouch. Click here for these exceptional roller bags. As Canon and Nikon continue to sleep – Medium Format enters the mirror-less era. Phase One in collaboration with ALPA are readying the A- Series medium format camera. The camera can use an iPhone as a wireless viewfinder in a mounted (as shown) or as a infinitely articulating remote device. The system comprises Phase One Digital Backs, Rodenstock optics, and ALPA bodies. When formally announced there will be three configurations – details can be found on the Digital Transitions web site. 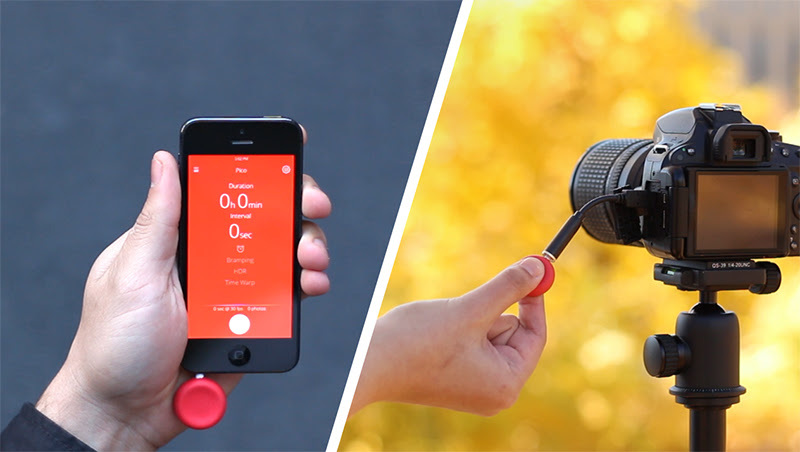 PICO is the latest Kick-Starter project by Mindarin — the company behind the Astro time-lapse and motion control — Pico is a small simple device capable of executing robust time-lapse capabilities. Planned for availability in July 2015 it will be inexpensive and easy to used time-lapse trigger, capable of working with or without your smartphone and makes capturing time-lapses as easy as it can be. HDR (High Dynamic Range): Take time-lapse sequences by bracketing at varying exposure levels based on the dynamic range of the scene. If you do not have a smart phone on hand Pico offers a manual mode. Simply plug Pico into your camera’s remote cable, hold the button down, and listen for beeps — each beep represents a one second delay between shots, let go and pico will start triggering the camera at the set interval, and continue to do so until you unplug it. Pico is small and light. weighing in at under .5 ounce (.4 to be exact or 11 grams for my friends across the pond) it takes no room in your camera bag. 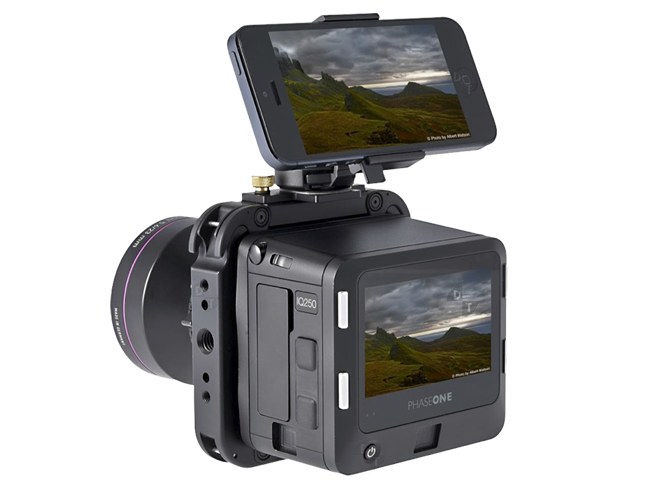 With improved battery technology, Pico can operate your camera for a whooping 8 years of continuous operation. 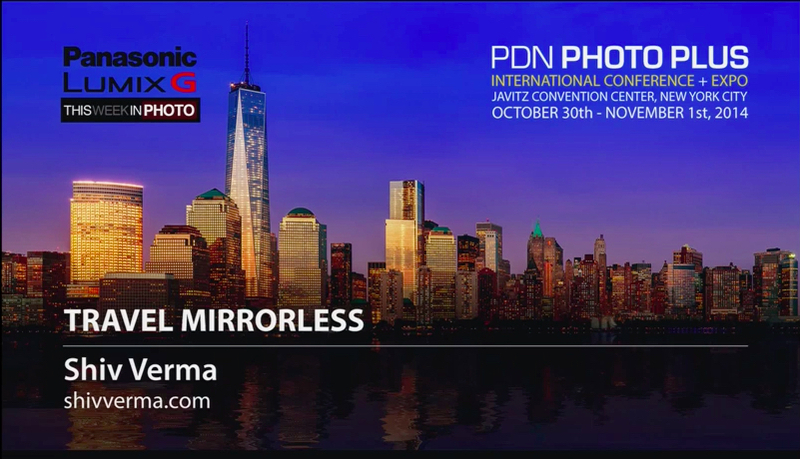 Spent three fantastic days in NY City at the Photo Plus Expo. Saw some great stuff that I will be blogging about soon. The mirror-less world continues to pick up steam and there is a lot happening with this lighter better world of photography. Trending – HYBRID – animated stills and more. Was honored to be invited and to be interviewed in the Panasonic Lumix Lounge by none other than Frederick Van Johnson. Click here for the interview. Panasonic had an awesome booth with lost of gear for visitors to test out, demos, 4K TVs and the fantastic new LX100 – I want one. Use the link to check it out.